WorldWideSatellites.com Presents the NEW LimeSat HD Air High Definition MPEG-2/MPEG-4 Ready Free to Air Receiver. The Future of Free to Air is here, over 70 FREE HD channels available. 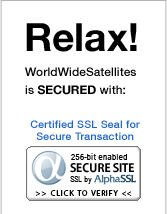 WorldWideSatellites is also carrying the 2010 Top 5 Best Selling Free to Air Receiver in Canada, Limesat Ultra. LimeSat HD Max Wifi PVR is Discontinued and replaced by the New Lime sat HD Air.